The Safeguarding of children, young people and vulnerable adults is an integral part of Youth Ministry in the Clifton Diocese. We are pleased to have the new Safeguarding Resource Pack available for our Parishes to use. It includes sample risk assessments and clear Adult to Child/Young person ratios which are located in the Children’s Toolkit. 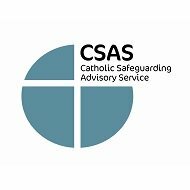 contact our Diocesan Safeguarding team on: 0117 954 0993.